Much of Nebraska was inundated with flood waters, leading the governor to declare a state of emergency. Nebraska Gov. Pete Ricketts called it “the most widespread destruction we have ever seen in our state’s history,” and said farmers will suffer the most, CBS News reported. According to USA Today, 74 cities, 65 counties, and four tribal areas were under a state of emergency as of March 19. The state’s farm bureau said that ranch and farm losses could total $1 billion. Vice President Mike Pence went to the state to survey flood damage, visit a temporary shelter, and speak to first responders. “We’re going to make sure that federal resources are there for you,” Pence told volunteers, as reported by Yahoo. South Dakota, Iowa, and Wisconsin also declared states of emergency due to flooding, CBS reported. 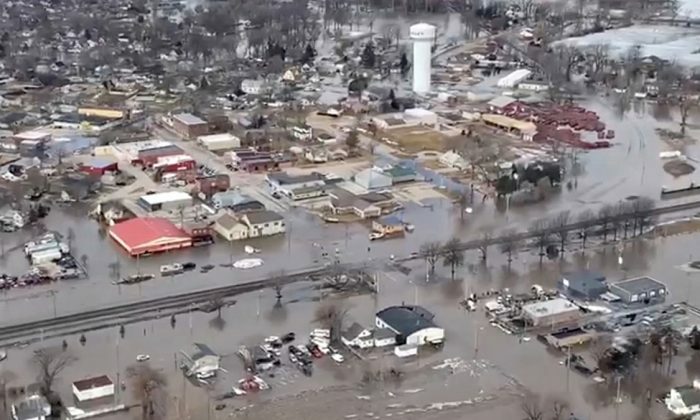 NEW: Roads and bridges were washed out and rescue operations were in full swing as rivers across a swath of the Midwest rose to record levels. Ricketts added that 14 state bridges were damaged and 200 miles of highway were compromised and cannot be used. “We’re still very focused on keeping people safe right now and as late as yesterday we were still conducting rescues of people,” he said. He elaborated on the damage done to farmers’ lands. In Iowa, Gov. 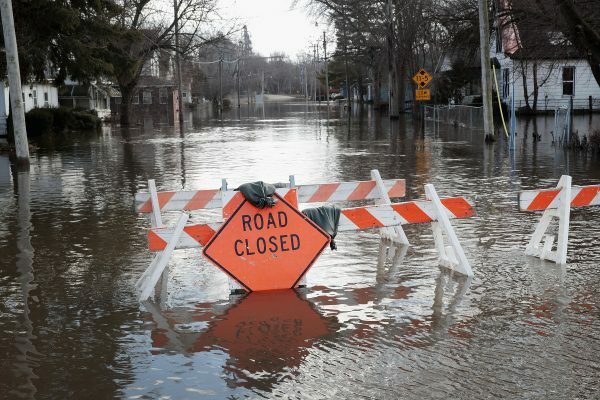 Kim Reynolds said that severe flooding across the Midwest might last all spring. Snowmelt and additional rains could create more flood hazards due to compromised levees along rivers. AccuWeather lead long-range meteorologist Paul Pastelok told USA Today that flooding could last until late spring. “El Niño is likely to persist through the spring and not weaken like it usually does this time of the year,” he said. Ricketts said more than 2,000 homes and 341 businesses have been damaged or destroyed in the flood, according to The Associated Press. The damage to private homes and businesses has reached $85 million so far. The governor stressed that the numbers are preliminary and subject to change. The numbers were included in the governor’s request for expedited assistance from the federal government. 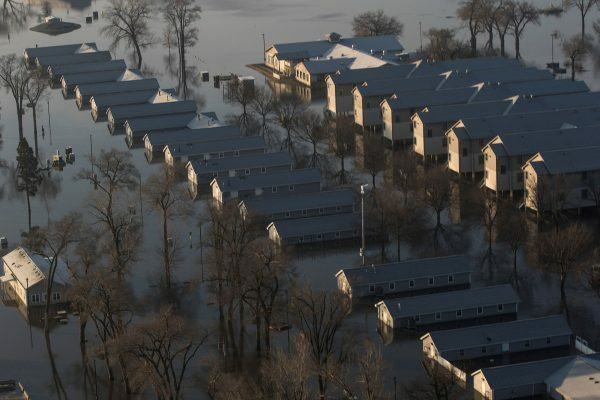 The floodwaters have also damaged hundreds of homes in other Midwestern states and been blamed for three deaths. 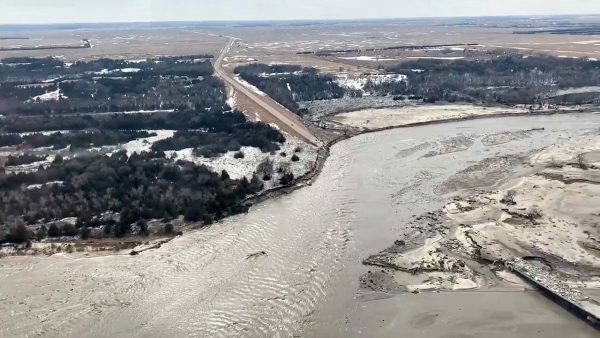 In northwest Missouri, two more levees were breached March 19 and the 220 residents of the town of Craig were ordered to evacuate. Local officials said water also is lapping at the edge of the tiny town of Fortescue, where residents used excavators to create a makeshift levee, according to AP.